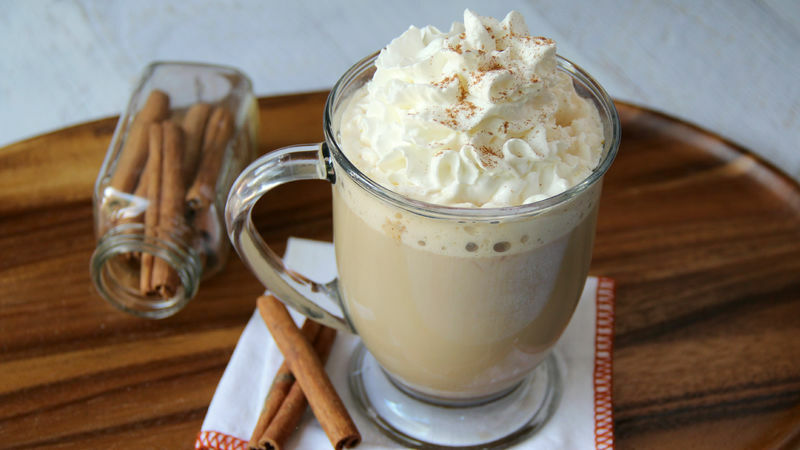 This easy slow cooker pumpkin spice latte recipe is quite the crowd pleaser. During the holiday season, make this festive-flavored coffeehouse favorite at home for your guests. It’s easier than you think! Whip up a big batch of these Pumpkin Spice Lattes in your crockpot (yes, crockpot!) the morning of Thanksgiving, or even for your business holiday parties or special client appreciation events for all your guests to enjoy! 1. In slow cooker, mix all ingredients except whipped cream topping. Beat with whisk until well combined. 2. Cover and cook on High heat setting for 2 hours, stirring once after 1 hour. 3. Serve in mugs, and top with whipped cream topping and ground cinnamon. 4. Enjoy with friends and family!